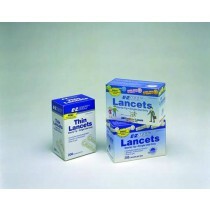 Montoring blood sugar is an active role in managing diabetes. These practices often vary from person to person in terms of how often and what device is used. Some individuals monitor both before and after meals but it's important to conduct blood glucose testing, minimum of one to two hours after the start of a meal. 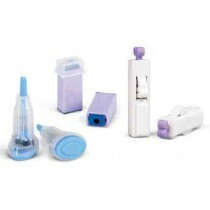 There are a variety of products to help make this process easier and accurate such as test strips, meters and kits, lancets, lancing devices and control solution. 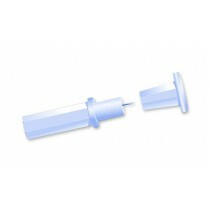 Diabetic Test Strips or blood glucose test strips are small disposable strips that work with a blood glucose meter. There are some strips that don't require a meter however it's more common to use strips in conjunction with the compatible meter. 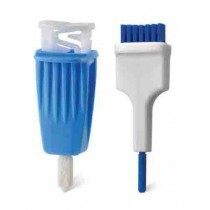 It works by user placing a droplet of blood, using a lancet to prick the finger or another part of the body, onto the test strip where it comes in contact with glucose oxidase. 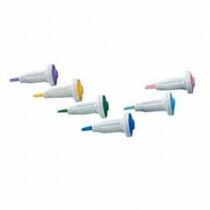 The other end of the test strip transfers a current to provide a reading based on the levels of gluconic acid. It's important to note that not all strips work for every meter. 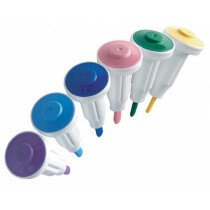 Also, do not use expired test strips and to always check the packaging for its suggested expiration date. 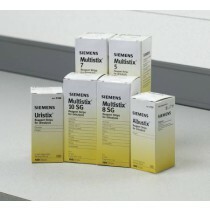 Refer to the box for information for the specific brand of test strips. 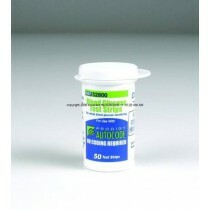 Vitality Medical also carries urine testing strips provide a ketone reading of acetoacetic acid. 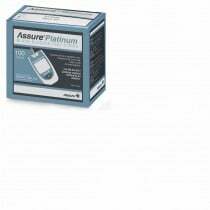 This is another method to monitor glucose because ketones are a sign that the body is using stored fat instead of glucose. 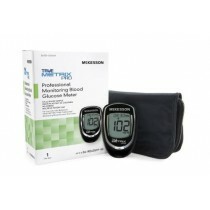 Glucose Meters and Kits range in price depending on the overall features. 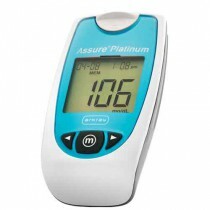 Meters are designed to be compact and portable for convenient readings when you're away from home. Each meter has a port to place the strip for testing. A clear digital face will provide straight forward readings. 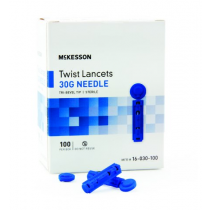 It will automatically save the blood sugar tests allowing your doctor to review the history and adjust your insulin, if determined. 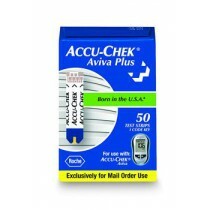 Meters like the Ascensia Contour will indicate if the test strip was under-filled and needs a fresh strip with blood sample. For those who are visually impaired, the Prodigy Voice will give voice and display readings. 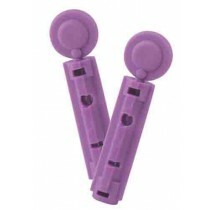 Meters can be purchased by itself or as a kit which may also include batteries, lancing device, sterile lancets, user guide and carrying case. 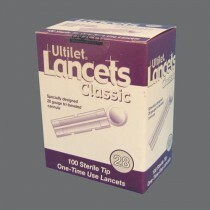 Lancets can be used by itself or loaded into Lancing Devices to lessen pain and provide a controlled quick prick to the finger in preparation for blood glucose testing. 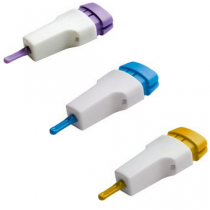 Lancing devices eliminate needle stick injuries, tissue damage and the risk of cross contamination. 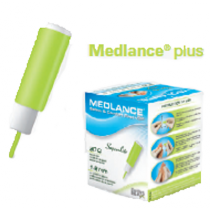 Lancing devices include the Microlet and lancing pens providing an easy ergonomic device with variable settings to customize to the user. 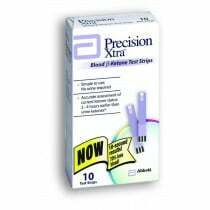 To test blood glucose meters to ensure accuracy, Control Solution is added to the test strips to act like blood to get a reading. 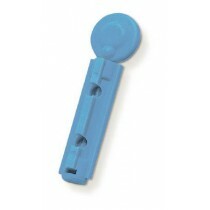 Some control solutions are only compatible with the brand of meter just like the testing strips.